by Bruno Martino and #8 by Hoagy Carmichael. Matteo Sabattini (as), Mike Moreno (g), Lage Lund (g only on #7), Kristjan Randalu (p), Matt Clohesy (b) and Obed Calvaire (d). Recorded, mixed and mastered by Jim Clouse at Park West Studios, Brooklyn, on May 25 & 26, 2009. 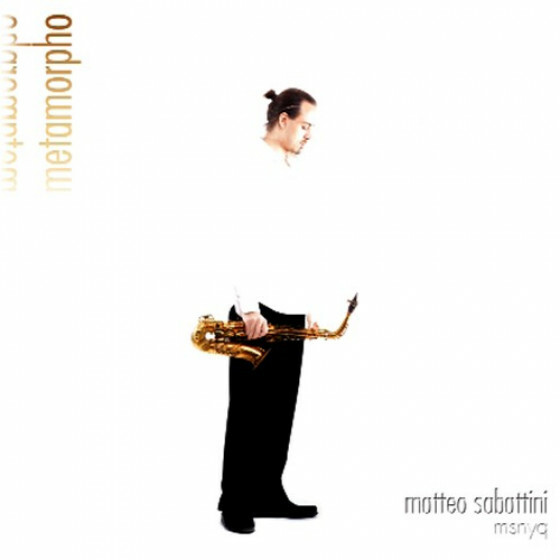 "New York altoist and composer Matteo Sabattini's leader debut is a beautifully crafted album, with Mike Moreno (guitar), Kristjan Randalu (piano), Matt Clohesy (bass) and an electrifying Obed Calvaire (drums). Sabattini combines warmth with a serene sense of studied engagement, and that duality shapes each performance. The interplay is markedly contrapuntal in character and there's a concern with balance and textural contrast as well as high energy. It's there in the radical overhaul of Estaté and a blues, Distensions, in the measured development of Prism, the drama of My Journey and a lovely The Quiet Before Sunrise, where the group is joined by guitarist Lage Lund. This last track, incidentally, is transposed on the CD with a revamped The Nearness of You. This is a savoury encounter between European sensibility and New York edge." "A sense of melody seems to be sacrificed in a lot of modern jazz these days, as newcomers try to get some press as the next big thing by subscribing to a stranger-is-better aesthetic. 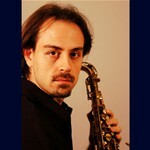 Matteo Sabattini is a rare exception, an alto saxophonist whose music is unique in its provision of comfort and a natural sense of melodic lyricism, while still presenting challenging ideas, along with aggressive rhythmic and harmonic ideals that constantly surprise. His New York Quintet features some of the greatest talent to emerge in the new millennium, like guitarist Mike Moreno and drummer Obed Calvaire, and proves to be one of the most complete and complementary units heard in recent memory. Nobody phones it in on this session, and every part is integral to the success of these pieces. Moreno's signature swells and semi-liquid, seductive tone are a perfect match for Sabattini's sound, and the guitarist can occasionally take a Kurt Rosenwinkel-esque direction when soloing over some excitable rhythm work ("My Journey"). Calvaire has already become one of the most important drummers of his generation and he shows no signs of slowing down. He can drive a band in a swing setting and back a bass solo with subtle brush work ("Sons Of A Mitch"), slam away with the best of them ("Estate"), accentuate an aggressive attitude with some jittery grooves ("Dawning"), and deliver some modern, militaristic snare work ("Prism"), all with equal aplomb. While it's sad to say, there's often a sense that the bassist isn't an equal partner in these types of settings and that couldn't be further from the truth when discussing Matt Clohesy's contributions here. Clohesy often works in tandem with pianist Kristjan Randalu, as the pair provides direction to the entire ensemble, but he also acts as a foil, allowing Sabattini to shine ("Estate"). At other times, Clohesy locks in with Calvaire, creating a powerful rhythmic undercurrent for Sabattini's songs. While Randalu is the least recognizable name on this roster, his contributions speak for themselves. His touch is tender, yet assured, and his work reflects the mood of every piece. Each note he plays on "The Nearness Of You"the penultimate track, despite being incorrectly listed as the final numberis like a single rain drop gently landing on a pond; but he can also show a more aggressive sense of purpose when other pieces call for it. With this much talent, it might be assumed that Sabattini's own gifts would be eclipsed, but that never happens. The beauteous-to-bold duality of his sound makes him one of the most exciting and promising alto saxophone up-and-comers on the New York scene. While the Italian-born Sabattini has been working in the bustling Big Apple since 2002, Dawninghis second album, following 2006's independently released Tidal Wavesmarks his debut as a leader for a label with broader distribution, and it was clearly worth the wait." "Perhaps due to New York's dynamismand no doubt in part the result of the city's pivotal role in jazz's historyNew York jazz ensembles are frequently characterized by bold playing and a hard edge that's arguably less common in many European jazz groups. Italian-born alto saxophonist Matteo Sabattini's New York Quintet builds a bridge between a melodic European sensibility and the incisiveness in ensemble playing typical of the metropolis. 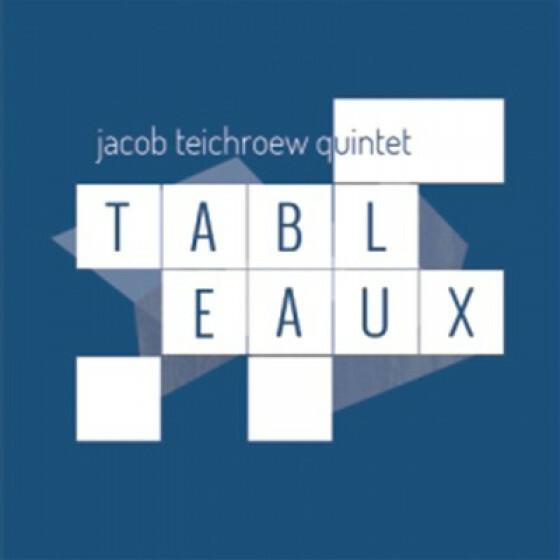 Sabatini's elegant Old World-meets-New World arrangements are typified by the juxtaposition of his mellifluous alto playing with Obed Calvaire's consistently dynamic drumming, just one engaging aspect of an altogether absorbing set. Sabattini's rendition of Italian singer/pianist Bruno Martino's bitter-sweet "Estate" is one of the more beautiful readings of a tune previously interpreted by trumpeter Chet Baker, harmonica player Toots Thielemans, guitarists Ulf Wakenius and Vic Juris, and pianists Monty Alexander and Michel Petrucciani. The delightfully spare arrangement throws the spotlight on the saxophonist as well as guitarist Mike Moreno. On Sabattini's impressive debut as leader for the Catalan label, warmth and feeling are common to both soloists and a pleasing feature of the music in general. Sabattini and Moreno mirror each other in their unhurried approach to crafting a solo, beautifully demonstrated on the title track. Calvaire is a forceful presence here, while bassist Matt Clohesy and pianist Kristjan Randalu offer subtle harmony and counterpoint. Sabattini has a knack for conjuring melodically simple yet deeply lyrical tunes, much like Yellowjackets tenor player Bob Mintzer. Sabattini's compositions, like Mintzer, also contain an inescapable narrative strength, amply demonstrated in the episodic, thirteen-minute "Prism," which sways between pillowy lyricism and more assertive unison playing. Calvaire takes an extended solo of tumbling invention, and the classically tinged intervention of Randaluin addition to Moreno's fluid and articulate linesalso leave lasting impressions. "My Journey" and "Distensions" further illustrate Sabattini's ability to build from the simplest of melodic foundations. Moreno's sinewy solo on "My Journey" amply demonstrates why he's been called upon by saxophonists Joshua Redman and Greg Osby, drummer Jeff 'Tain Watts, trumpeters Nicholas Payton and Terence Blanchard and singer Gretchen Parlato; his deftness of touch, and fluidity of melodic ideas mark him out as one of the finest of the new generation of guitarists. Moreno provides quietly shimmering support on "Distensions," a vehicle for the leader to stretch out a little more. Sabattini leads from the front on the energetic "Sons of A Mitch," a bop-flavored tune driven by Clohesy's walking bass that nevertheless leaves plenty of space for Randalu and then Clohesy to explore. "The Quiet Before Sunrise" is a seductive ballad colored by Randalu's classical leanings, and features a lovely cameo by another fine guitarist, Norwegian Lage Lund. An original arrangement of Hoagie Carmichael's "The Nearness of You" captures the blend of lyricism, strength and collective intuition that is the hallmark of Sabattini's New York Quintet. The Fresh Sound New Talent label has produced over 400 recordings. 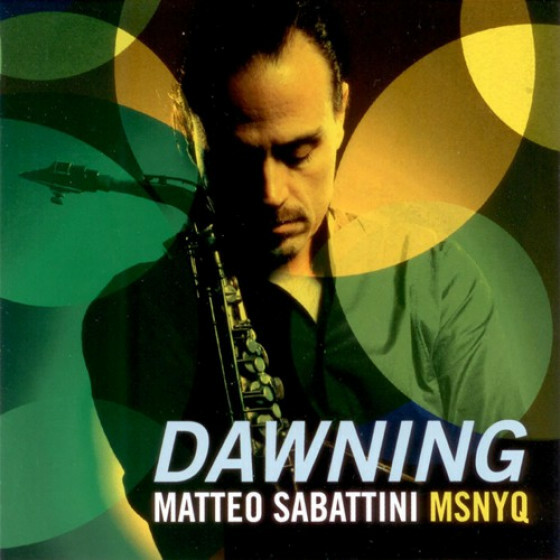 There may have been better releases than Sabattini's Dawning, but right now it's hard to think of one."